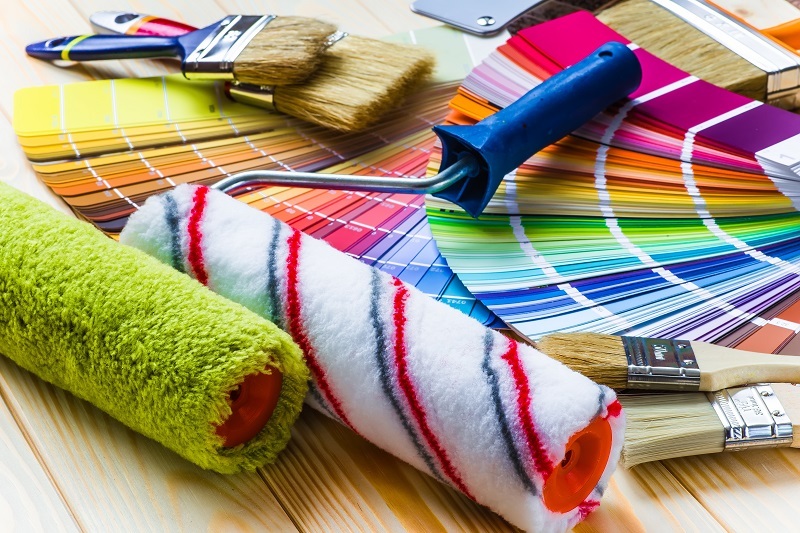 Painting a room within your home is a fun, exciting project. A new paint job adds character, style, and a fresh cleanliness to any room. Painting tools can be an expensive part of any paint project, so you may want to do all that you can to prolong the life of painting equipment. One tool that is relatively easy to care for, and reuse with multiple paint projects, is the paint roller. With proper care and attention, a paint roller should last for several paint jobs. If you are in the midst of a project that will last for several consecutive days, then you may find it easier to preserve the roller temporarily, instead of thoroughly cleaning it every day throughout the project. One way to save a roller for a night, or two, is to simply wrap the roller completely with plastic wrap at the end of the day, and it will be ready for you to use in the immediate future. The plastic wrap helps keep moisture within the roller, so the paint will not dry out, and you can easily unwrap the roller when you are ready to paint once again. If you are ready to store the paint roller for long-term storage, then you should clean the roller more thoroughly. If you are painting with water-based paint, then you can simply use warm water and soap to clean the roller. Run water over the roller until the water is completely clear and the roller is paint free. For any stubborn paint, you may use a putty knife to scrape off hard, dried paint, but be careful to preserve the integrity of the roller. For oil-based paint, or for varnishes, you should fill a paint tray with a solvent, such as paint thinner, and immerse the roller into the liquid. With several rolls within the paint tray, the roller should become clean. Replace the liquid with a clean solvent solution, and re-immerse the roller once again, for a final rinse. All rollers should be dried in an upright position. The goal for this function, is to allow the roller fibers to dry without being smushed. When you dry the roller in an upright placement, you preserve the integrity of the nap.